The easiest trick to add a touch of twinkle to your holiday design, these string lights are party-ready for mantels, centerpieces, trees or topiaries. 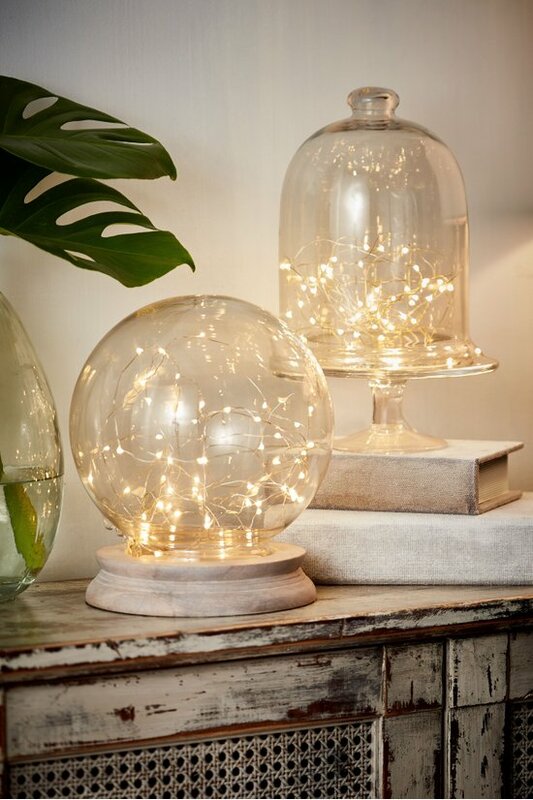 A thin, barely-there wire dotted with brilliant white lights illuminates instant ambiance in any gathering space. Convenient timer lights the scene whenever you please. Choose from silver or gold. Remove string lights from packaging and add batteries to power pack. Turn on, off or timer using the switch on side of battery pack.